Dale E. Epich & Associates, Inc.
Dale Espich has an enduring and extremely successful career in multiple phases of the ‘Death-Care Industry’. Dale joined Batesville Casket Company in 1965. At that time, Batesville was a well-established company insofar as recognized Quality was concerned, but very small compared with what lay ahead. These were formative years for Batesville as the company blazed one new trail after another on its way to what would eventually be over 50% market share. One of the outstanding protocols introduced in 1966 was that the field sales rep would be a "partner" to his funeral director clientele in his business. It was not a process of how much the rep could "sell", but as a consultant with the funeral director about displaying and explaining various grades of quality to client families. Since the public was totally ignorant about the differences is burial caskets, "explaining casket differences" became the battle cry. The more a client family understood about the quality differences between displayed caskets, the more likely they were to select better merchandise----at a better profit level. Espich enthusiastically grasped this new concept along with becoming a casket merchandising design expert in the way the selection room was arranged so that casket differences would be better understood---and selected. Caskets were not sold. Caskets were explained with the result being the ultimate in customer satisfaction---"Better caskets selected for all the right reasons." The process also required that the rep spend significant time with the funeral director assuring him that families both demanded and deserved this consumer information - in those early years of "consumerism". From Batesville to the outside Consulting World. After 12 great years –1965-1977-(including seven figure incomes) with Batesville, Dale felt compelled to take another direction to help funeral directors in profitability. He recognized that while casket selection improved margins, most funeral directors were in the dark about how to calculate cost of service, and how to price for a fair profit. He co-founded Professional Funeral Management (PFM), an accounting and consulting company. This move put Espich in a unique position in which he would counsel directors not only in the selection room, but with accounting, cost analysis, and pricing for good and fair profits. Historically (and to this day) funeral directors have struggled with accurately determining how much it costs to serve a family. In 1981 Espich and his partners decided to go separate ways. Thus began another unique set of opportunities. He proceeded with a series of focus groups that would culminate in the production of vital communication processes in the way funeral directors counsel with client families. A continued desire for self-improvement as well as perfection and safety led to his acquiring the premier aviation rating of Airline Transport Pilot and a total of over 9,000 hours in 40 plus years of aviation activity. A vast majority of those hours were for business purposes. However, the part of flying that was most satisfying to Dale was the 37 missions with Wings of Mercy, a volunteer organization that provides custom transportation of patients (over half are small children) with special needs to Mayo, Johns Hopkins, Cleveland Clinic, Slone-Kettering, etc. He used his cost analyses and merchandising expertise to develop clients in the California/Arizona market as well as the area east of the Mississippi. His consulting expertise was paramount in the development of a relationship with Aurora Casket Company from 1984 thru 1991. During that period he developed and conducted sales training workshops for the entire Aurora Sales force. Concurrently, he inaugurated Aurora’s national accounts program that attracted a wide variety of new business for Aurora with some of the nation’s larger funeral homes. During the PFM days there was considerable demand for firms needing business valuations for both succession planning and outright sales of the business to non-related parties. Dale developed an expertise in Business Valuations through practical experience and many dozens of hours of continuing education in business appraisals. This led to a spectacular 20 year period of the 1980’s-90 with the new phenomenon swept the death-care industry---Mergers and Acquisitions. From the mid-1980’s to late 1990’s a veritable frenzy of buying/selling took place by both public and private firms and individuals in death-care. Over his total career Dale Espich performed over 250 business valuations and personally negotiated over $225,000,000 of Merger and Acquisition transactions. More than 80% of his M & A business was with former management clients who had made their businesses more valuable with the management advice. Since 1965 Dale Espich has personally consulted with over 500 funeral service firms be it in merchandising, business values, buying, selling, cost analysis, accounting, and pricing goods and services for a fair level of profitability. In 1999 Dale retired and he and wife Carol spent summers in Michigan, winters in Florida. After his wife’s death in 2003, he resumed part-time consulting activity and joined Tom Johnson and son, Jake, in a new venture of total management solutions in death-care. In Today’s world Dale is about half and half between business and giving back to the community. He maintains a special level of management and M & A activity with a select group of death-care clients. In the other half his time is consumed with a variety of civic/community activities. He is active on several boards including 25 years on the Corunna Educational Foundation, formed a non-profit to battle childhood obesity, introduced locally Girls and the Run mentoring over 400 girls annually in 3, 4, 5th grade, Shiawassee arts council, church, Kiwanis president, YMCA board chair, vice chair Memorial hospital board of trustees. In 2001 he was selected as Grand Marshall of the Curwood Festival in Owosso, and Community Volunteer of the Year 2009. 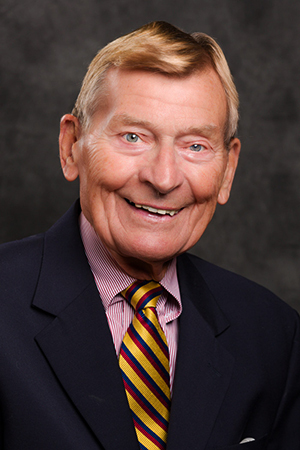 In 2010 Dale Espich was invited to join the Board of Trustees of Memorial Healthcare, Owosso, Michigan. Memorial is a 93 year old 150 bed acute care hospital with approximately 1100 employees. Since joining the board he has been active in many areas and has served on the Committees of Finance, Performance Improvement, Corporate Compliance, Medical Credentialing, and the Executive Committee. He was elected Vice Chair in January, 2013, and was installed as Board Chair in May, 2014. Dale was named Memorial Healthcare Humanitarian of the Year for 2015.